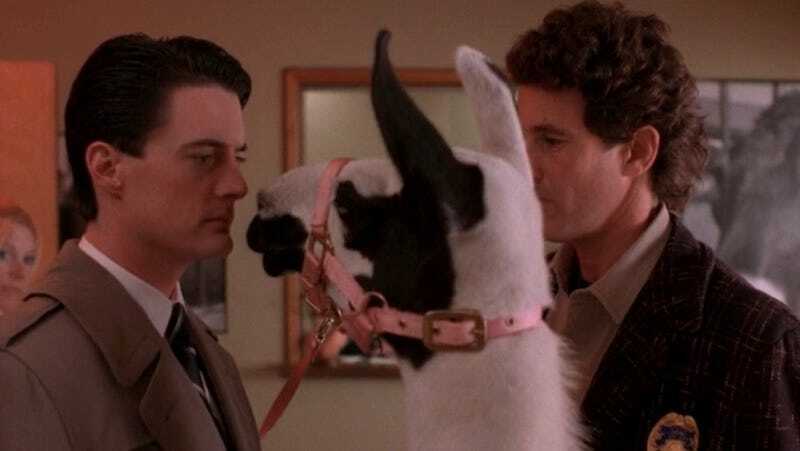 Cult favorite TV series Twin Peaks is mainly about a very intuitive FBI agent chasing down a supernatural serial killer, but it’s best known for being incredibly, bafflingly strange. I mean, of course it is; it was created by David Lynch. To pass the time until show’s return on May 21, we counted our favorite WTF moments from the original series (in chronological order). The Fire Walk With Me movie was released after the show ended, but the events in the film take place before the TV show. Like, for instance, this freaky pantomime, which baffles the FBI agent played by Kiefer Sutherland, but which plays out in easy-to-interpret code for the agent played by Chris Isaak. Just don’t ask him about the blue rose. Agent Cooper doesn’t get a lot of screen time in the film (reportedly at the behest of Kyle MacLachlan). 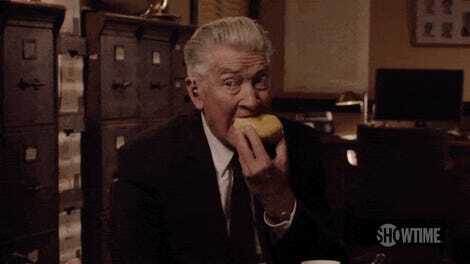 But this scene—featuring David Lynch himself as Cooper’s FBI boss, Gordon Cole, and David Bowie as a fellow agent whose mysterious behavior foreshadows Cooper’s later experiences in Twin Peaks—is one of Fire Walk With Me’s strangest sequences. And that’s saying a lot. His small stature doesn’t diminish his dancing skills, nor his baffling ability to talk in riddles both forward and backwards These “red room” scenes have become an iconic part of Twin Peaks, both visually and thematically, but their off-putting vibes feel just as potent every time you see them. At the start of season two, Leland’s hair has gone completely white, and his mind has continued to deteriorate. This time, however, the Horne brothers react to his strange behavior with even stranger behavior of their own. “He can’t ask for your soul,” Bob explains to Agent Cooper in the Black Lodge, speaking of Agent Cooper’s evil ex-partner Earle. “I will take his.” Which version of Cooper (the good guy, or his evil twin) emerges from the Black Lodge with Annie? The very last scene of season two makes it pretty clear.